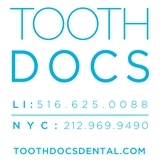 Tooth Docs Dental (New York) - Book Appointment Online! Dr. Kauftheil is friendly, efficient with time and highly professional. His staff is jovial and create a warm, friendly environment.